In my early twenties when my cancer came back for a second time the doctors determined that my only chance was high dosage chemo and a stem cell transplant, they termed it "a rescue attempt". At one point I had a doctor advise me to prepare my goodbyes to my family. I was in the last chance saloon. I enquired about preserving my fertility but was told I didn't have the time, and not to worry; that I was young any damage would be short lived. The transplant worked, I survived, but at a terrible cost. A few months after my recovery I was told I could never have children. I saw doctor after doctor who confirmed my worst nightmare. Through blinking tears I persuaded a doctor to give me some hope, a 1% chance (that's how I decided to interpret her 99% certainty that I would never have a child of my own). More than a decade later and five failed IVF attempts under our belt (some came close), we decided to pursue our 6th and final round (there is a limit to the amount of continual bad luck a person can handle). I choose an expensive clinic in New York that described themselves as the "clinic of last resort" and began a daily schedule of 3 injections twice daily and a course of a new experimental wonder drug. I was still in recovery from major pancreas surgery 2 months prior but despite my doctors concern I felt time wasn't on my side. After all the years of Chinese herbal tea concoctions, acupuncture in various different countries, endless endless injections, it all boiled down to a pregnancy blood test I sent to New York. Despite an aggressive IVF protocol, disappointingly, I only produced one egg. Our chances were slim. The phone rang, it was the nurse from New York... "Congratulations, you're pregnant". I nearly collapsed, it was the best day of my life. Nine months later my one egg turned into this little burpy ball of (milk guzzling) gorgeousness that I hold in my arms as I type. She is exquisite and we truly adore her. This is a very private story but I wanted to share it because there are many people out there who've had their dreams quashed by scientists, nay sayers, and those who are afraid to dream. My blood readings were those of a woman 30 years older than me, it's "impossible", "a waste of your time and money" they told us, but we never stopped believing, and that is why Róisín's middle name is Creideamh which is the Irish word for 'belief/faith'. We kept the belief that one day we'd meet the child of our dreams. Róisín, we were destined to be together, never give up on your dreams. The darkest day of my life was the 28th August 2009. My Mum suffered a sudden massive heart attack late at night and died instantly. After the heartbreaking phone call from my grief stricken poor father I clutched the framed photo of my Mum, tears saturating the glass front, my mum’s final goodbye reverberating in my ears from our casual phone chat earlier that night. I changed forever that day, my worst fears had come true, the hollowness and loss I felt would never leave me. I’d never have the moment again of sitting in the kitchen in Terenure, alone with my Mum, drinking tea and talking about Hewitt ancestors I'd never met. But Mum was a tremendously strong, irrepressibly kind, and unconditionally loving person, she was a remarkable woman, and when I think of her now (which is all the time) I try not to lament my own loss but to celebrate an amazing life. She was the eldest of 7 siblings and when her own mother passed away in her prime she became a mother figure to my aunts and uncles. She looked after them all, worked hard to make sure they didn’t want for anything and most of all she always encouraged them. All my aunts and uncles are very close with a massive sense of family, a compassion for others and yet a strong independence and feeling of self worth, which I attribute to my mother. When my Mum passed they didn’t just lose a sibling, it was like losing their mother for a second time. Mum was always so softly spoken, she never raised her voice or got into an argument in her life (yes, even with 6 siblings, Lord knows the blue murder I would have kicked up!). Given my Mum’s gentle nature it is not obvious to all that she was a very determined business woman. In the 1960s my Mum set up her own beauty salon on the chic Wicklow St, the Dawn Beauty Salon. She worked very hard to make her business a success and was very proud that her clientele included the Ladys and Baronesses of high society. Her entrepreneurial streak and willingness to take a risk and achieve her dreams lives on in my eldest brother Lochlann. When he was knee high to a grasshopper he was selling cans of soda to thirsty tennis players in our neighbourhood courts, from soda cans to the dizzying heights of Wall St, where he continues to work for himself, always made my Mum beam with pride. My Mum married my Dad in 1967 and I’ve never seen two people more devoted. When I look back at pictures of them on my Dad’s motorbike it’s hard to reconcile that with the brownbread baking Mum I loved. It’s always surprising to learn your own parents were young and in love too. They were jointly the most positive force in my life. As I said in my wedding speech ‘I aspire to be them’. My Mum had the patience of a saint and raised myself and my two brothers to treat people as we would like to be treated ourselves. Mum took to parenting very naturally and was delighted to know that my brother Colm’s wife Barbara was expecting their first child. Sadly, Mum never lived to see her first grandchild, little Lara, being born but her sweet kindness and devotion to her kids lives on in my brother Colm. Lara is very much the apple of Colm’s eye and my Mum would be very proud to see how naturally he has taken to looking after his bundle of joy (make that two bundles of joy now little Matt has arrived!). 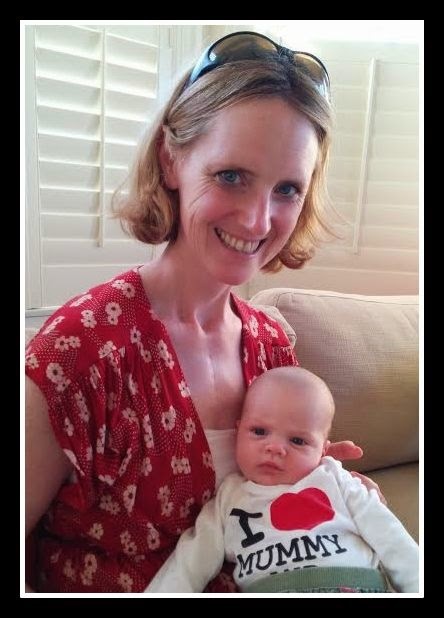 Mum was born with polycystic kidneys, an inherited disease from her mother. She was plagued with problems and started on dialysis when I was young. She stayed on dialysis for many many years and at many times she became so ill that priests were called to her bedside to perform the Last Rites. She received a kidney transplant which thankfully she didn’t reject but spent the rest of her life taking a concoction of meds to keep her from rejecting. Even during her lowest points when things looked very bleak my Mum never ever gave up. She always always smiled and never once uttered a negative surrender. When I went through my own battles with cancer I drew heavily on my Mum’s example and borrowed her positivity and resilience. I thank my Mum for this gift and know it’s the reason I’m still alive. 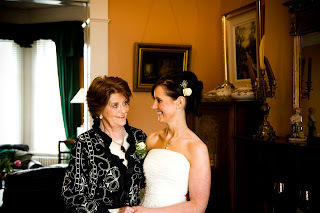 It’s impossible to talk about my Mum and not mention her faith; my Mum came from an older generation, an Irish stock of people that are losing themselves in the mire of time and change. Whether you subscribe to the doctrines of the Catholic faith or not, you have to admire the sense of peace, understanding and fearlessness a person with no agenda, other than true faith, feels. She never stressed or worried because she never saw a situation as hopeless, if a positive outcome wasn’t achieved by conventional means, all was not lost, there was always a saint you could pray to (and given the trials and tribulations of our family, there isn’t a saint my Mum hadn’t prayed to!). Mum never feared death, she knew she would go to a great place and be with her own parents and the family and friends that went ahead of her. She knew she’d always stay in our hearts and be the person we’d pray to when we lost our way. My Dad walks in the footsteps of my Mum’s great faith. Dad, I know you lost your soulmate but she shines on in your smile, she dances in your laughter. She hasn’t gone without you, she’s just gone ahead of you. Sheilagh, tá sé seo go hálainn. Beautiful words Sheilagh, a lovely tribute to your mum! Sheilagh, tarraingíonn scéal scéal eile. One touching story leads to another one!